Guitarist Mick Abrahams lasted one album with Jethro Tull before differences with Ian Anderson forced him to depart. Everything worked out fine as he found a new band mate in keyboardist, saxophonist, violinist, flautist Jack Lancaster. When they added bassist Andy Pyle and drummer Ron Berg, Blodwyn Pig was born. Abrahams may have been a part of Tull but his new group gave little hint of that type of sound as Lancaster greatly influenced the direction of the band. They ended up as a blues band that fused rock and jazz elements into their sound. They released two studio albums during the early period of their career. A Head Rings Out (1969) and Getting To This (1970) produced music that was ahead of its time. Lancaster’s virtuosity on a number of instruments gave the sound a lot of flexibility to move in a number of directions. They were critically acclaimed and commercially successful enough to play The Isle Of Wight Festivals and complete two tours of the United States. The band has had a number of reunions and released two new studio albums during the 1990s. Pigthology features music from their early career period and includes remastered versions of their most famous songs “Dear Jill,” “See My Way,” and “Drive Me,” plus some unreleased live and studio material. It all adds up to an eclectic release that gives a surprisingly good glimpse of their music. The only real downer is the lack of any liner notes whatsoever. The best of the live performances are a rock oriented “The Change Song” recorded at the Marquee Club in 1969, a jazzy “Cosmogification” from 1973, and a flowing “Same Old Story” from a BBC performance. The most interesting track is “Monkinit” with Lancaster trying to impersonate Thelonious Monk fronting a rock band. Lancaster rarely played the piano with the band but the music swirls around his improvisations into a creative mix. What Pigthology lacks in cohesiveness, it makes up for in creativity. 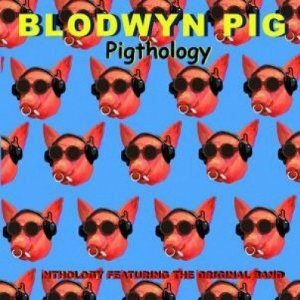 Blodwyn Pig is one of those what if bands as one can only imagine what directions they would have traveled had they remained together. Pigthology is a nice introduction to a multi-faceted band. Phil and Don Everly were the most popular duo in music history until passed by Hall & Oates. They were superstars of the late 1950s and early 1960s. They broke up 1973 but reunited in 1983. They were inducted into the Rock And Roll Hall Of Fame in 1986. “Bird Dog” was their third of four number one hits but only barely. It topped out at number two on the BILLBOARD Hot 100 but managed to spend one week at the top of the Best Seller In Stores Chart. While it was definitely not a country song, it also topped that chart as well. Earlier this year Real Gone Music released The Complete Columbia Singles by Patti Page. It contained all the A and B sides of her single releases for the label. While most of her well-known hits were recorded for the Mercury label, there was a lot of good music issued during her seven years with Columbia. While assembling that album, a number of previously unreleased tracks were discovered. 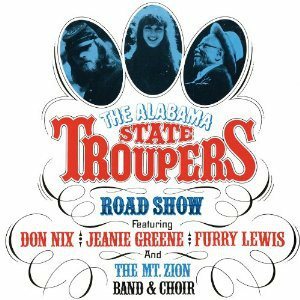 Those 24 tracks have been released as From Nashville To L.A. – Lost Columbia Masters 1963-1969. The end product is a somewhat disjointed album as the tracks were recorded over a number of years and for different albums. On the other hand, the songs are finished tracks and should please any fan of Page. The music moves in a number of directions. She gives a simple rendition of the Eddy Arnold hit “I Really Don’t Want To Know.” “Raining In My Heart” was written by Felice and Boudleaux Bryant and originally recorded by Buddy Holly & The Crickets. She slows the tempo a bit and moves the song in a light pop direction. I remember Herb Alpert’s version of the Bacharach/David tune “To Wait For Love” and Page’s is much better as she gives a pitch perfect vocal performance. Her 1966 sessions for the album America’s Favorite Hymns, provide four tracks. “Just As I Am,” “Jesus Loves Me,” “I’ll Live Up There,” and “In The Sweet Bye and Bye” represent a side of Page that is rarely explored. The album is a treasure trove for her fan base. Dinah Washington had an R&B hit with “Teach Me Tonight” but Page’s version moves it back to its pop roots. She swings with the Ray Charles classic ”Hallelujah I Love You So.” Add in her Spanish language releases of “Hush Hush Sweet Charlotte” and “Scarlet Ribbons (For Her Hair)” and you have an album of note. 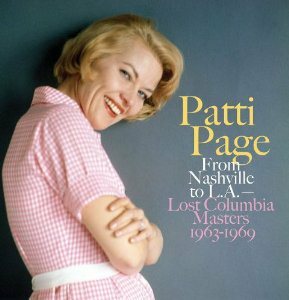 The best way to describe From Nashville To L.A. – Lost Columbia Masters 1963-1969 is interesting as it helps to fill in her legacy. 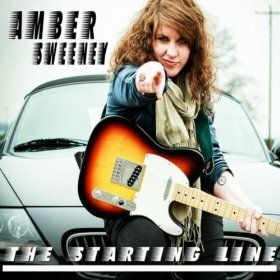 It may not be cohesive but there are a number of excellent stand-alone tracks. It forms a nice introduction to an often neglected period of her career. Perry Como was one of the superstars of American music during the 1940s and first half of the 1950s. His television variety program ran from 1949-1967 and his Christmas specials were broadcast for years. While the rock era eventually eroded his popularity, he remained active on stage and in the recording studio until near his death in 2012. While Como’s career spanned nearly seven decades, one of his lesser known periods was his time recording in Nashville with producer Chet Atkins. Those sessions resulted in three of his more popular albums, The Scene Changes (1965), And I Love You So (1973), and Just Out Of Reach (1975). Real Gone Music in conjunction with RCA has now released 23 tracks from those sessions including his entire Just Out Of Reach album. In addition to the complete album there are outtakes from both of his 1970s albums and a number of non-album singles releases. The missing pieces are the And I Love You So, which was the strongest of the three releases and The Scene Changes album. Como may have been in Nashville and country legend Chet Atkins may have been his producer but he was far from a country artist. He was a laid back crooner who was able to adapt just about any type of song to his style. John Loudermilk’s “Then You Can Tell Me Goodbye,” the Lennon/McCartney tune “Here There And Everywhere,” and Kris Kristofferson’s “Loving You Was Easier (Than Anything I’ll Ever Do Again)” are all examples of his easy listening style no matter what the song. The six outtakes are all being released for the first time. Sometimes unreleased tracks were unreleased for good reasons. While such songs as “It Was Such A Good Day,” “Yellow Beach Umbrella,” “Take A Look At Me,” and “Take Me Home” may be a pleasant for his fans, they pale next to his better material. The highlight of the album is the non-album single releases. “Love Don’t Care (Where It Grows),” “Walk Right Back,” and “Wonderful Baby” may not be among his better known hit songs but they are Como at his understated best. His Spanish recording of “And I Love You So” makes one wish for the original version. The common denominator is producer Cher Atkins. Otherwise, it is a disjointed compilation made up of one average album and some bits and pieces. 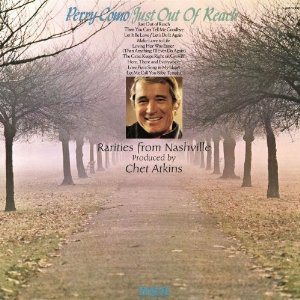 Just Out of Reach: Rarities From Nashville Produced By Chet Atkins is not a starting point for exploring the Perry Como legacy. It is a release mainly for his fans. You are currently browsing the Muskmellon's Blog blog archives for January, 2014.